DUBAI, 13th November, 2017 (WAM) -- Matar Salim Ali Al Dhaheri, Under-Secretary of the Ministry of Defence, today met with Keitaro Ono, Japanese Parliamentary Vice-Minister of Defence, and his accompanying delegation, at the Dubai Air Show 2017. During the meeting, which was attended by a number of senior officers from the Ministry of Defence, the two sides reviewed aspects of cooperation between them, in addition to discussing a number of military topics of common interest. 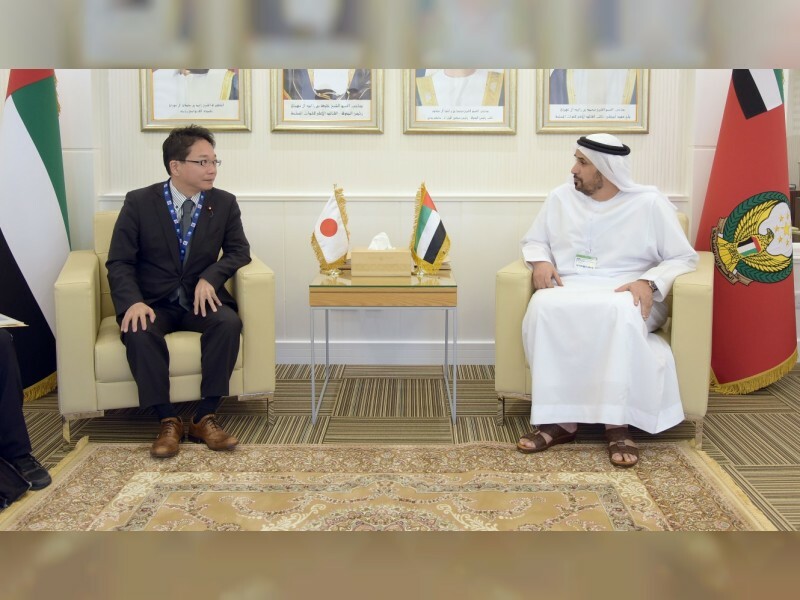 Al Dhaheri praised the existing relations between the UAE and Japan which he said are witnessing progress especially in the defence and military fields.